We offer preparatory courses at ideal standards which instantly enable you to study and live in Germany with ease from the A1 –B2 level. Obtaining a B2 level certification in German is criteria for work and MLC’s individual and collective courses prepare students for fast success. The German language counts almost 100 million speakers and is the most widespread language in the European Union. The German economy dominates the EU and has been the world's second largest exporter. One of the 10 most commonly spoken languages in the world, the demand for German courses is ever - increasing and popular among students. Working in Germany requires background in the German language. Germany is a popular place for work attracting many doctors and nurses who need the German language and technical language as well to succeed. German Courses at MLC take into consideration student needs and objectives and are customized to help them meet their goals. You can request German for specific purposes and learn technical language in a general German course. Culture and everyday life Language is considered as the key to the door which takes you into the world of German culture and people. Through the latest deductive methods, you can qualify yourself and prepare yourself for life in Dutch countries. There has been a longstanding relationship between Germany and Jordan at different levels and this also includes academic and cultural exchange. Many Jordanian Universities and research centers are interested in educational and academic collaboration from different fields with Germany. Many Jordanian experts and intellectuals have continued their higher education in Germany and have presented studies made with German colleagues. These Doctors, researchers and professors have continued their professional paths through the many scholarships available and through their own expenses because Germany is an economic place to live in and education is almost free. Studying German is a great investment for the future. Many Jordanians have obtained certificates from Germany or gained essential qualifications and have earned high positions in Jordan. 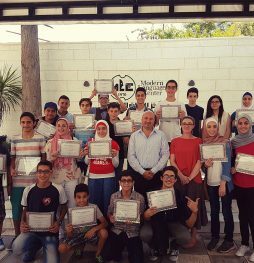 Through MLC’s efficient and customized courses, success is guaranteed, communication skills are enhanced and intercultural skills are established. You can choose to study intensive courses or general ones, with flexible timings in the mornings or evenings. Modern Language Center offers you Intensive course. After taking an individual placement test, you will start taking lessons at the course level that is right for you. 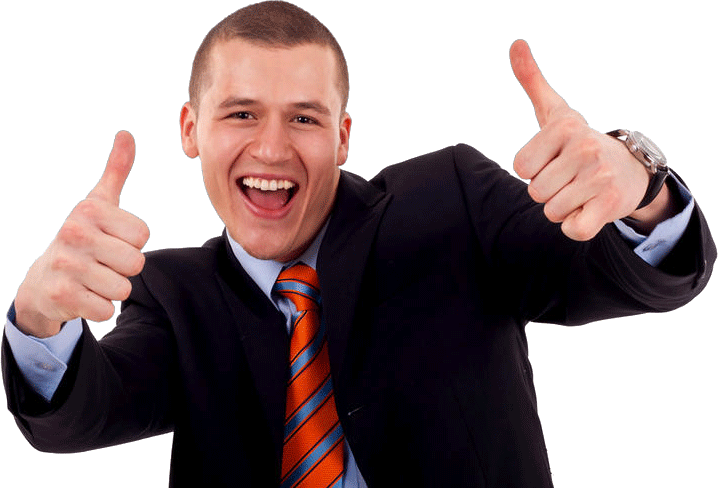 If you have no prior knowledge of German, you will automatically begin at level A1. levels defined in the Common European Framework of Reference for Languages. 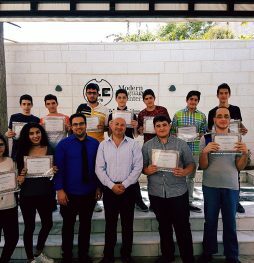 Learning at the Modern Language Center does not just mean learning a language, but also getting to know a culture. We use a face-to-face meeting and a placement test to find out what previous knowledge you have. In order to keep track of the students’ progress, frequent check-ups on language level are conducted throughout the course. Quizzes, mid-terms, and final examinations are given in all courses, so that the instructor can follow your progress and note any impediments in your language development. available in eBook format with interactive exercises of audio-visual nature. In order to be admitted into the general German course, you are required to sit for the MLC Placement Test. Discount 25% for the noon time.